Skygazers should get an Easter treat this Good Friday as spring's annual pink moon graces the night sky. Despite its name, the April full moon, called the Sprouting Grass Moon, the Egg Moon, and the Fish Moon in other cultures, actually has no apparent colour change. However, the term pink moon is a Northern Native American reference to an early-blooming wildflower, which starts to pop up in the US and Canada at the start of spring. Like any full moon, this one should be visible in all its glory, fully illuminated by the sun. The full moon will reach its peak little after noon, at 12.12pm, though it will be more visible after dusk. The pink moon is particularly significant because it is used to set the date for Easter, which is the Sunday following the first full moon after the spring equinox. 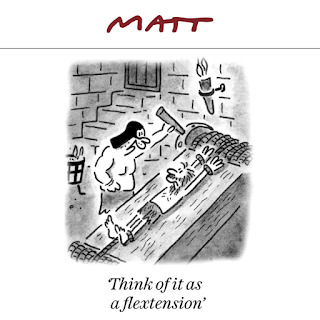 "At the hammer, (Up for auction?) The Greek State is preparing to pull out fifteen rocky islands scattered across the Greek seas, including the green island of Tsougria in the Sporades complex. The Finance Ministry is expected to auction electronically and make it available to prospective investors, and some of these are expected to show great interest. The relevant bill is being discussed in the House. Tsougria is situated opposite the port of Skiathos. It is covered with dense vegetation, pine trees and has many beautiful beaches, making it a popular destination during the summer months. The approach of the island is made by tourist boats from the port of Skiathos or from the port of Achladies. Its area is 1.14 sq. Km. 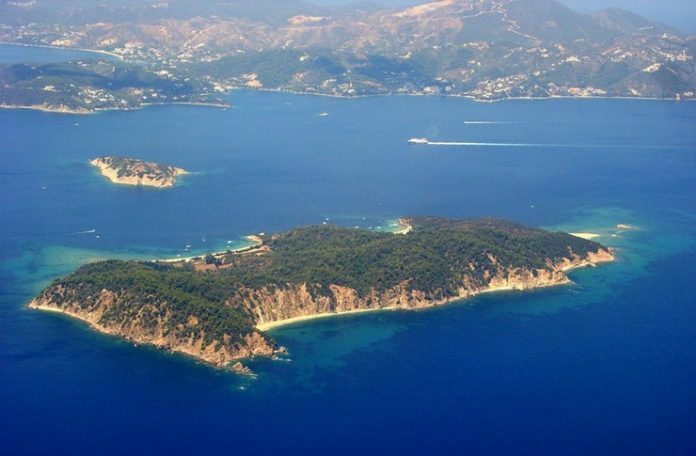 It is administratively owned by the municipality of Skiathos. (a) the base price, to be set for each geographical area by decision of the Minister for Economic Affairs. b) The kind of activity, which will be represented by "weighting factors" that will change the base price. c) The area of ​​the concession"
"Met a friend at the airport this afternoon, and spoke to one of the security staff who we have known for some years. First Amsterdam flight arrives in 13 days, the first UK flight in 18 days. TUI have increased the carry on bag allowance, from 5kg to 10kg, which has got everyone excited. The Greek parliament has further approved legislation that protects the rights of UK nationals and their family members living in Greece, in the event of no deal. The island, although it is the smallest of Sporades in size, receives more than 1.5 million tourists per year and the goal is to keep the numbers in the current tourist season. A few days ago, a volunteer program for the environment was organized to clean the beaches as a whole, where more than 550 students and 75 volunteer citizens participated at the initiative of the Skiathos Cultural Association. 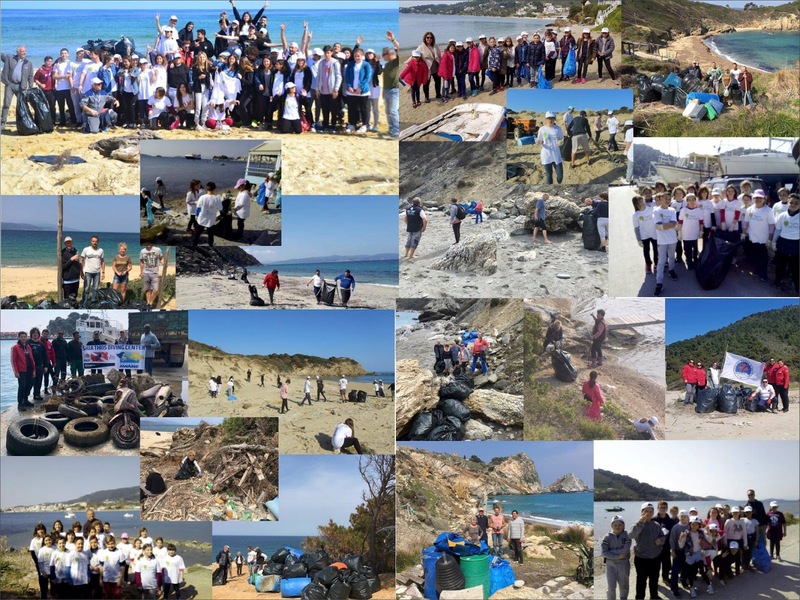 For 14 consecutive years the beaches are systematically cleaned by the bodies and the effort is based on volunteering, but also with the support of the Municipality of Skiathos and the Association of Hoteliers of the island. 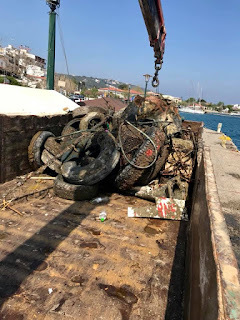 The cleaning at the beaches of Lechouni, Kastro, Agios Panteleimonas, Lygariies, Agistros, Elias, Mandraki, Krifi Ammos, Siferi, Tarsanas as well as around the lake of Agios Georgios, Plakes and Pounta and underwater cleaning at the harbour of Skiathos. The initiative of the Skiathos Cultural Association, for the past seven years, large barrels washed up on the shore are collected and placed in the Mandraki forest area, as a water store in the event of a fire. 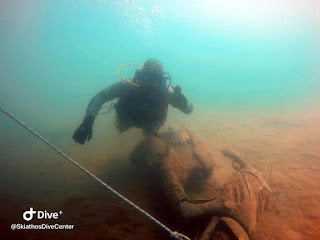 Weather permitting (The forecast this week has not been promising) Five areas are left pending, the cleaning, due to poor weather conditions, and planned for next weekend. These are the beaches of Aselinos, Megas Gialos, Agia Eleni and the islands of Arkos and Tsoukrias. 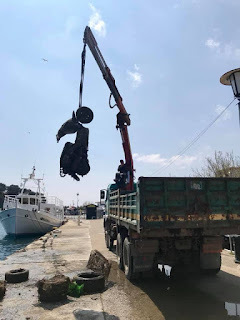 Cleaning of the most remote and inaccessible beaches has been undertaken by Skiathos Hoteliers Association, where access is only possible by boat, and so professional cleaners are required. Our diving center Skiathos Diving Centre today, (7/4/19) participated as it does every year in the volunteer effort of Greece. Let's do it Greece !! We took out hundreds of unusable and harmful objects that polluted the seabed of the New Port of Skiathos, such as batteries, tires, plastic items and plastic bags, bottles and even motorbikes. 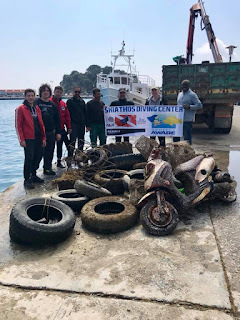 Of course, cleanup actions on our island do not stop there, they continue throughout the year as part of Project Aware of PADI's global effort for clean and lively seas. Next appointment on 5/6/19 on the World Environment Day !! Still absolute chaos at the airport. Nowhere to park today, no sign of any areas where coaches will stop. Main terminal still a shambles. 3 weeks until the first Dutch flight and 26 days until the first UK arrivals. Some Greeks saying they have been told the work will not be finished until at least June. Rumours of temporary check-in desks being put outside the domestic flights terminal (presumably passport control also if this is the case). It seems from news reports, once again the ferry Aqua Blue will connect the port of Thessaloniki with the Cyclades, Crete and the Sporades Islands this summer. The Aqua Blue will run every Tuesday and Friday on the route Thessaloniki-Skiathos-Andros-Syros-Tinos-Paros-Naxos-Santorini-Crete (with return), and every Monday to the islands of Sporades (Skiathos, Skopelos and Alonisos). Greece’s National Meteorological Service warns of a weather deterioration with heavy rainfalls and storms, locally with hail-falls and stormy South-East winds of up to 9 Beaufort in Central and South Greece. The stormy south winds will also transfer Sahara Dust to the country. 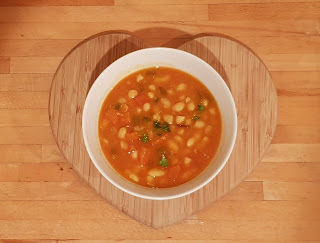 Having been inspired by one of Marias recipes, from the Calma restaurant in Aghia Pareskevi. Maria makes the most amazing Greek dishes, for her legion of fans up in the Platanias valley. She also has a very good cookbook, so if you pay her a visit, eat well and buy the book. 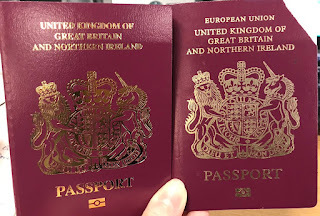 The UK government has started issuing British passports without the words “European Union” even though the UK remains a full member of the bloc. It removed the two words from passport covers issued this week on the working assumption that Brexit day would have been 29 March. But the move has angered those applying for new passports who were hoping to hold on to an emblem of EU membership. 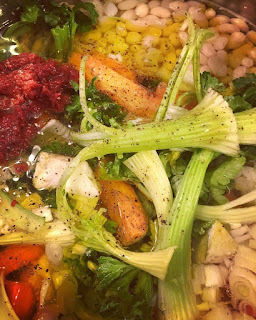 All content, including Photographs, graphics, text, © The Skiathian 2010-2018. All rights reserved. Travel theme. Powered by Blogger.